Happy Monday! Today I'm sharing the first of two cards I'll be teaching this month at my class on how to use sponging techniques on your cards. Class will be $5 on March 15th at 10 am if you are local and want to attend! 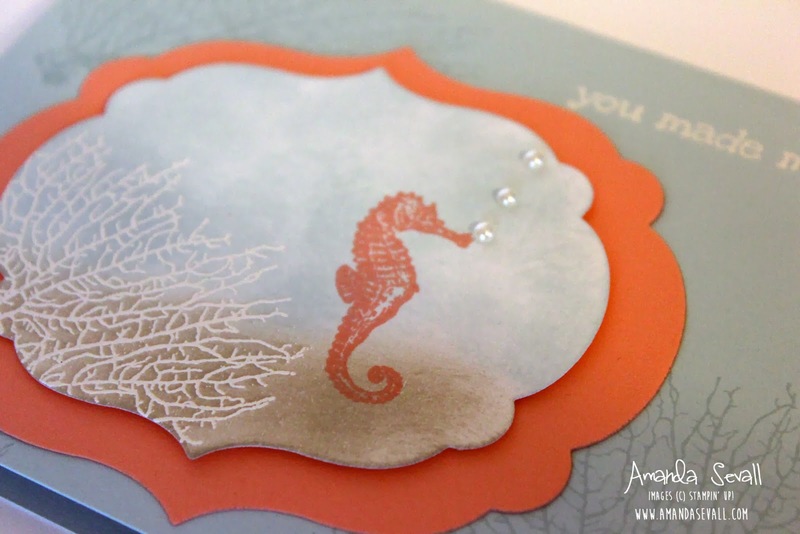 That coral is super cool embossed like that! 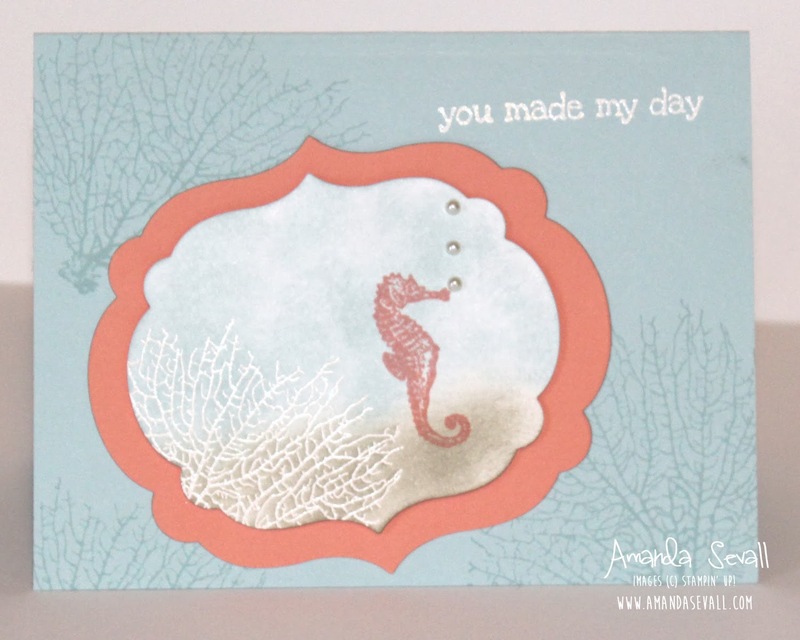 I love the embossed coral and the sweet pearl bubbles. You did a wonderful job with this card!